I thought you might like to see why we may be at the beginning of a short term decline in the tech stocks. 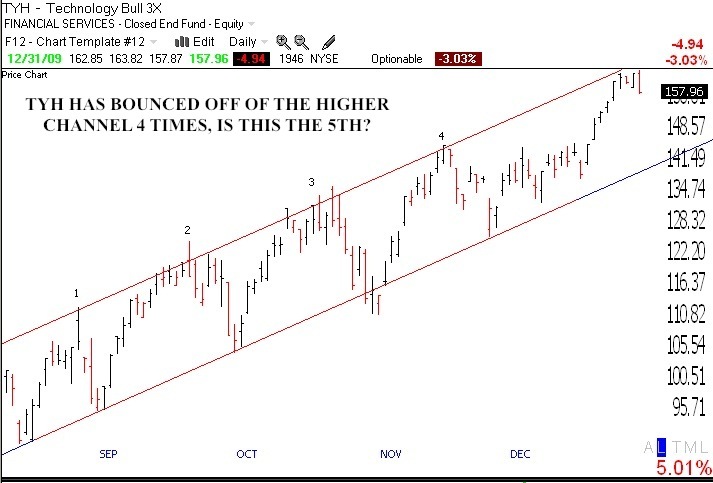 TYH is the 3X ultra long tech ETF and it appears to be in a rising channel. TYH recently hit the top of the channel, which has been followed by a decline four times in the recent past. 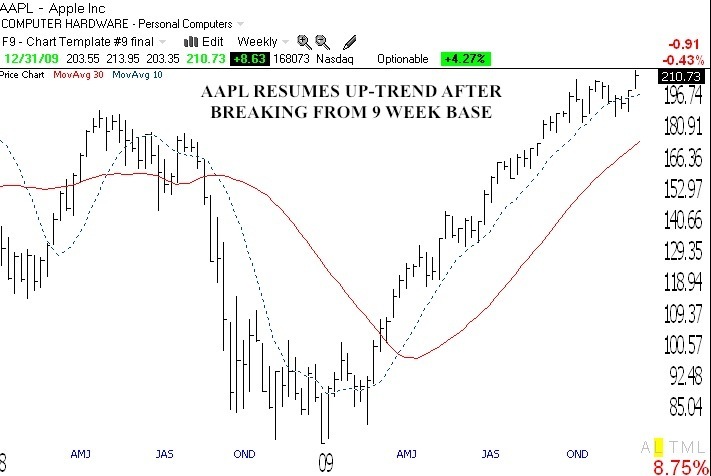 Nevertheless, the tech stocks remain in a longer term up-trend. The question is whether to sell a little now, or just hold on to see if the channel holds. Regardless, it seems to me that this may not be the time to take on new tech positions. Much better to buy closer to the bottom of the channel, if it holds. But the long term Stage 2 (a la Weinstein, see his book to lower right) up-trend remains intact. 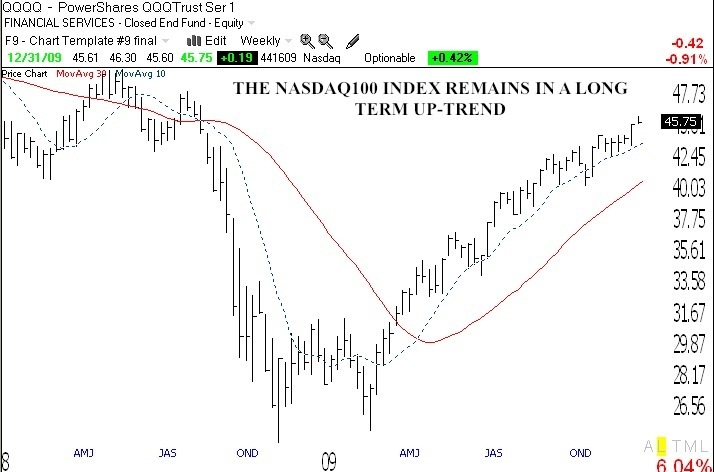 Note, however, that the QQQQ does appear to be a little extended on this weekly chart too, having closed at the bottom of its last 5-day range. Note on this daily chart that IMAX broke out to an all time high last week (on huge volume). My extraordinary stock picking friend, Judy, has been talking about IMAX since the stock was around $2. She of course bought it way back back then. It takes a while for the rest of us to catch up to Judy. She says the technical innovations in the recent 3D IMAX release, Avatar, is as big as when movies went from black and white to color. So, I own IMAX and am watching the story unfold. 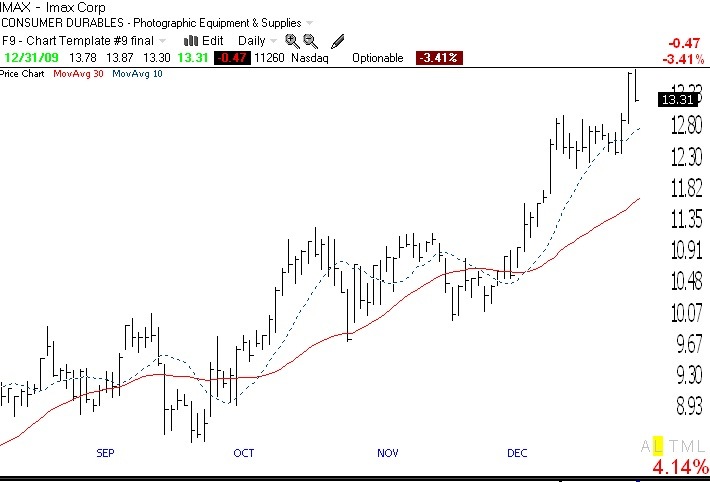 Techs still toppy short-term? T2108 near over-bought. Thanks for another year of great advice. I enjoy reading your info. I have had far better luck buying QLD and holding on, in an uptrend, than trying to trade within the uptrend. I would have done so much better last year just riding out the corrections. It is hard to hang in because of the terrible selloffs in 2007 and 2008 (and 2001) but if the overall market is in an uptrend it seems to be better just to stay in. Thanks again. Many of your posts refer to the picks of your friend “JUDY”. Does she offer any public pronouncements? She seems to have good individual choices.